This tutorial is part of The Ultimate List Of Dog Trick Ideas which contains 99 other tricks like this! Used to provoke a yawn the statement, are you tired, can give the impression that you are actually communicating with a sleepy dog. Surprisingly this is quite an easy behavior to reinforce during dog training sessions. A dog may yawn during a training session if he is confused or unsure what to do next. This reaction is simply because yawning in the canine communication world is actually a calming signal which dogs offer when communicating with another dog or in fact any other creature at all, including human beings. To utilize this natural behavior you will need to withhold a treat until your dog becomes confused about how he can get you to hand it over. Stand or sit in front of your dog then show him a tasty treat. Observe him as he tries to work out how to get the treat but don’t allow him to take it from you, if he moves near to the treat simply hold it out of his reach. Your dog will be thinking intensively and at some point will yawn, because he is unsure what to do next. Reward of the yawn is crucial. Repeat the previous three stages and your dog will yawn sooner each time, add your command word. Top tip; it may take longer for your dog to offer the yawn than one of the other behaviors so patience with this trick will get you the best results. Dog trainers love this trick because it is a great example of shaping a natural behavior to give the effect of cross species communication. 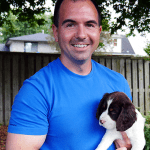 Jean Cote is an animal lover and the founder of Success Dogs. 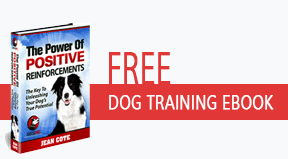 For more than a decade, he has served as a coach to thousands of dog owners around the world to better train, communicate and forge a stronger bond with their dog using positive and force-free training methods.